Copyright © 2001-2013 Triangle Research International, Inc. All Rights Reserved. 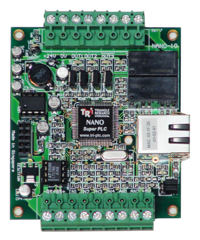 The Nano-10 has only 10 I/Os, but is a full-function programmable logic controller with many of the features found only in bigger and much more expensive PLCs. 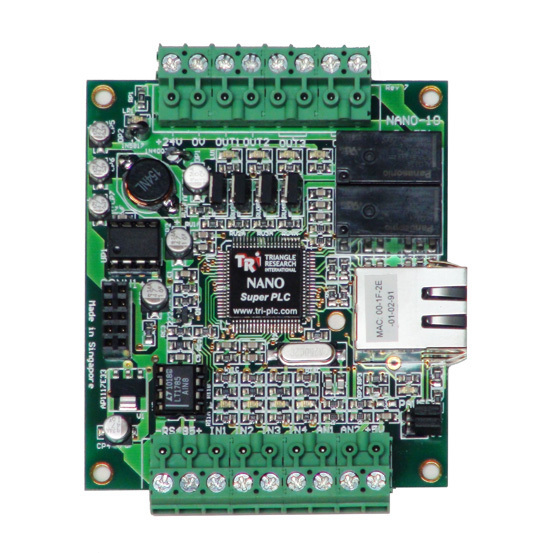 Measuring only 3.3" by 2.8" and weighing in at 2.6 oz, this nano class controller packs a big punch and stands out with its built-in Ethernet port which supports MODBUS TCP/IP Server and Client connections. 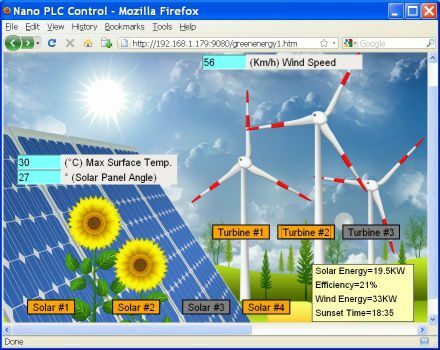 In addition, an RS485 connection which supports native host link commands protocol as well as MODBUS RTU and MODBUS ASCII, makes it possible not only to communicate with other Triangle Research PLCs, but also withother makes of PLCs and a whole range of other devices that support the same industry standards. 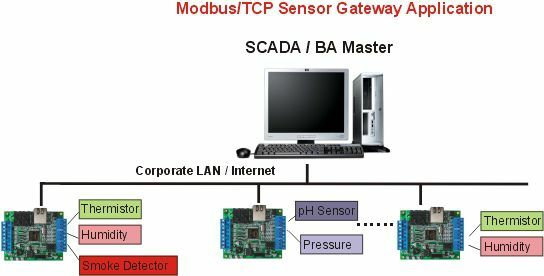 This extremely low cost ($119 per unit @50 qty) and yet highly capable Super PLC model is proving itself to be a game changer for many OEMs and has found its way into many new applications. 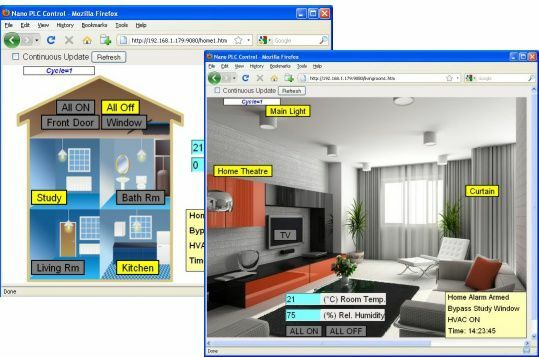 locations on a browser screen. Programming of the Nano-10 is done using the highly acclaimed i-Trilogi “Ladder+BASIC” language. 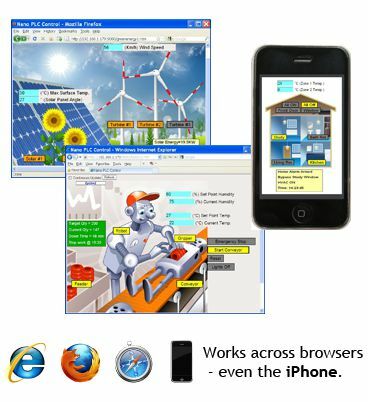 Ferromagnetic RAM memory for data storage and a battery-backup Real-Time Clock). capabilities and networking as larger and more complex systems.